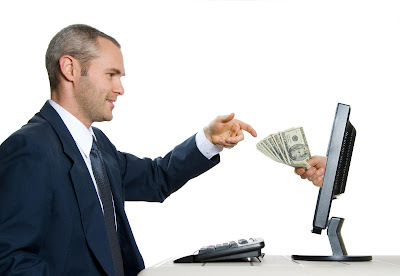 Do You Know How To Pay Your Forex Broker ? ?The forex market, unlike other exchange-driven markets, has a unique feature that many market makers use to entice traders. They promise no exchange fees or regulatory fees, no data fees and, best of all, no commissions. To the new trader just wanting to break into the trading business, this sounds too good to be true. Trading without transaction costs is clearly an advantage. However, what might sound like a bargain to inexperienced traders may not be the best deal available - or even a deal at all. Here we'll show you how to evaluate forex broker fee/commission structures and find the one that will work best for you. Three forms of commission are used by brokers in forex. Some firms offer a fixed spread, others offer a variable spread and still others charge a commission based on a percentage of the spread. So which is the best choice? At first glance, it seems that the fixed spread may be the right choice, because then you would know exactly what to expect. However, before you jump in and choose one, you need to consider a few things. The spread is the difference between the price the market maker is prepared to pay you for buying the currency (the bid price), versus the price at which he is prepared to sell you the currency (the ask price). Suppose you see the following quotes on your screen: "EURUSD - 1.4952 - 1.4955." This represents a spread of three pips, the difference between the bid price of 1.4952 and the ask price of 1.4955. If you are dealing with a market maker who is offering a fixed spread of three pips instead of a variable spread, the difference will always be three pips, regardless of market volatility. Some brokers may also charge a very small commission, perhaps two-tenths of one pip, and then will pass the order flow received from you on to a large market maker with whom he or she has a relationship. In such an arrangement, you can receive a very tight spread that only larger traders could otherwise access. So what is each type of commission's bottom line effect on your trading? Given that all brokers are not created equal, this is a difficult question to answer. The reason is that there are other factors to take into account when weighing what is most advantageous for your trading account. For example, not all brokers are able to make a market equally. The forex market is an over-the-counter market, which means that banks, the primary market makers, have relationships with other banks and price aggregators (retail online brokers), based on the capitalization and creditworthiness of each organization. There are no guarantors or exchanges involved, just the credit agreement between each player. So, when it comes to an online market maker, for example, your broker's effectiveness will depend on his or her relationship with banks, and how much volume the broker does with them. Usually, the higher-volume forex players are quoted tighter spreads. If your market maker has a strong relationship with a line of banks and can aggregate, say, 12 banks' price quotes, then the brokerage firm will be able to pass the average bid and ask prices on to its retail customers. Even after slightly widening the spread to account for profit, the dealer can pass a more competitive spread on to you than competitors that are not well capitalized. If you are dealing with a broker that can offer guaranteed liquidity at attractive spreads, this may be what you should look for. On the other hand, you might want to pay a fixed pip spread if you know you are getting at-the-money executions every time you trade. Slippage, which occurs when your trade is executed away from the price you were offered, is a cost that you do not want to bear. In the case of a commission broker, whether you should pay a small commission depends on what else the broker is offering. For example, suppose your broker charges you a small commission, usually in the order of two-tenths of one pip, or about $2.50 to $3 per 100,000 unit trade, but in exchange offers you access to a proprietary software platform that is superior to most online brokers' platforms, or some other benefit. In this case, it may be worth paying the small commission for this additional service. How well capitalized is the firm? Who manages the firm and how much experience does this person have? Which and how many banks does the firm have relationships with? How much volume does it transact each month? What are its liquidity guarantees in terms of order size? What is its margin policy? What is its rollover policy in case you want to hold your positions overnight? Does the firm pass through the positive carry, if there is one? Does the firm add a spread to the rollover interest rates? What kind of platform does it offer? Does it have multiple order types, such as "order cancels order" or "order sends order"? Does it guarantee to execute your stop losses at the order price? Does the firm have a dealing desk? What do you do if your internet connection is lost and you have an open position? Does the firm provide all the back-end office functions, such as P&L, in real time? Even though you might think you are getting a deal when paying a variable spread, you may be sacrificing other benefits. But one thing is certain: As a trader, you always pay the spread and your broker always earns it. To get the best deal possible, choose a reputable broker who is well capitalized and has strong relationships with the large foreign-exchange banks. Examine the spreads on the most popular currencies. Very often, they will be as little as 1.5 pips. If this is the case, a variable spread may work out to be cheaper than a fixed spread. Some brokers even offer you the choice of either a fixed spread or a variable one. In the end, the cheapest way to trade is with a very reputable market maker who can provide the liquidity you need to trade well.